Update: Please read why we only support a tobacco tax that has an actual effect on public health. Health Forward intends to pursue a substantial and impactful increase in the tobacco tax in the coming years. Health Forward and many others came together in 2012 to advocate for a ballot initiative to increase Missouri’s tobacco tax from $0.17 per pack (the lowest in the nation) to $0.90 per pack. We were motivated by the robust evidence showing that high tobacco taxes reduce smoking, particularly by teenagers, pregnant women and low-income smokers. Although the 2012 effort narrowly failed, it solidified within the Foundation’s associates and directors a desire to pass a meaningful tobacco tax increase in Missouri. Health Forward believes that Missouri can do better than to allow tobacco companies to write policies that will ultimately keep our state’s youth hooked on these deadly products. Against this context, I am saddened to share that the Health Care Foundation has chosen not to support either of the currently proposed initiative efforts to increase Missouri’s tobacco tax. Tobacco taxes, when crafted well, are a powerful public health tool to decrease youth smoking and recognized by the CDC as one of the major predictors of a state’s smoking rate. The two tobacco taxes currently under discussion in Missouri — both funded in large part by tobacco companies — are crafted specifically to have little or even no impact on youth smoking. 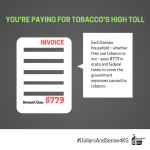 Tobacco taxes are effective to the extent that consumers feel a shock in pricing and change their behavior in response. Incremental and phased-in approaches, such as those currently proposed in Missouri, do not offer the price shock necessary. Also of concern, neither proposal closes the allocable share loophole. This loophole in Missouri state law has made the state a dumping ground for cheap cigarettes manufactured by small tobacco companies. Unless this loophole is closed, Missouri will forfeit tobacco-settlement funds in the coming years; in 2015 alone, this loophole cost the state $50 million in funds for the state general revenue fund. While the proposal may raise money on one hand, it will lose money from the other. Quite simply, it robs Peter to pay Paul. Early childhood services or roads may benefit, but at the expense of the state’s general revenue fund. This is one of those rare times when nothing is better than something. Tobacco companies are offering Missourians a paltry increase in the tobacco tax rate that will maintain youth smoking and preclude any future attempts at meaningful increases in the state tobacco tax rate. Health Forward believes that Missouri can do better than to allow tobacco companies to write policies that will ultimately keep our state’s youth hooked on these deadly products. 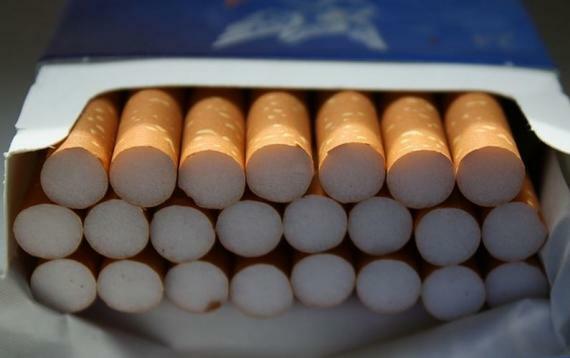 What makes a good tobacco tax? It is an act of high charlatanism to equate the two current tobacco tax proposals without giving the specifics of either. Although Health Forward may not be able to see the difference from the vantage point of its high horse, there is a profound difference between a proposal that would generate an insignificant amount of revenue for transportation (read highways) and one that would generate unprecedented funds to advance the well-being of young children. Raise Your Hand for Kids is building a coalition across the state of Missouri to improve the quality of education for the state’s children AND improve their quality of life with smoking cessation programs. We need to do SOMETHING in this state to improve the education and health of our youngest citizens. Compromise and coalition building are necessary to get something done. So I am working hard to get this increase in the tobacco tax on Missouri’s ballot. I am sorry that those I thought would be our allies and would work with us have chosen to do nothing and sit this one out. But we are finding great support throughout the state for improving the education and health of Missouri’s children. I prefer doing something rather than nothing. I owe it to future generations of Missourians to do something to improve their lives. We would like to make a clarification to your statement regarding the allocable share loophole and offer a different perspective on the benefits of our ballot initiative. Our proposal establishes an equity fee of 67 cents per pack (NPM equity fee) levied on non-participating manufacturers, which are tobacco manufacturers who have not become participating manufacturers in accordance with provisions of the Master Settlement Agreement (MSA). The NPM equity fee has the same effect as the ASR language filed in previous tobacco tax ballot initiatives. However, this method creates additional revenue for early childhood health and education. In total, the Early Childhood Health and Education Amendment will provide $207-259 million for early childhood education, $28-$41 million for health related programs and $14-$28 million for smoking cessation. 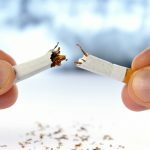 Missouri currently allocates $107K for smoking cessation. This proposal provides an opportunity for Missouri to go from 48th to 12th in terms of funding for cessation programs. In Missouri, 1 in 6 pregnant women smoke and 15% of high school students smoke. We have placed great emphasis on smoking prevention and cessation to ensure that we improve health outcomes for babies and reduce the rate of smoking among teens. Our goal has always been to develop a policy that would have the greatest chance of success at the ballot box. Lessons from past failures and current polling suggests that a 60-cent phased in tax has the highest chance of success. Raise Your Hand for Kids is proud of its proposal and excited about helping to write a new narrative for our state and providing much needed resources that will improve the health and education of our children and lead to a stronger economy for Missouri.